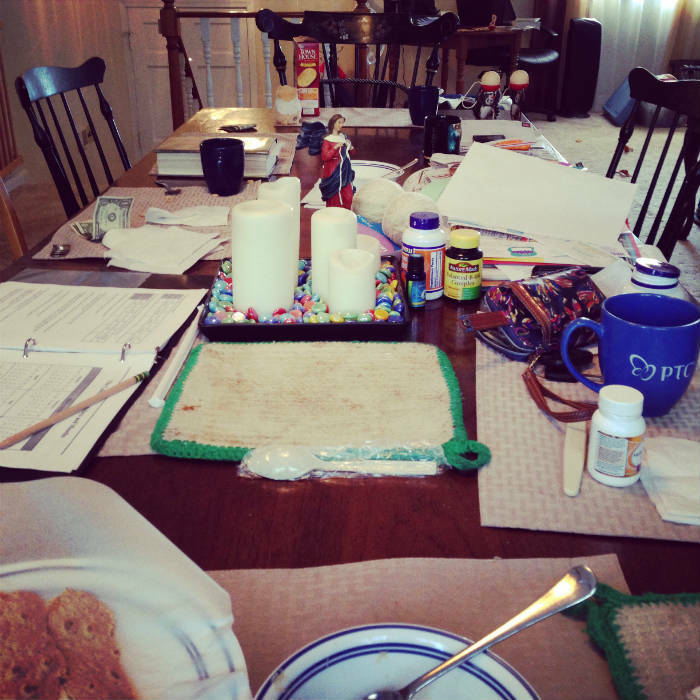 Sharing a pretty typical homeschooling day in the life of me: a highly sensitive, introverted, gifted (read: excitabilities), middle-aged, tired homeschooler, with 5 kids from 16-6…several of whom are sensitive/gifted/introverted as well. Then there are the extroverts, setting us all off, LOL. I tried to keep a record of how I was feeling and what I was thinking in addition to what we were doing. I wanted to show people that they are not alone with their feelings of being overwhelmed, even though they know they are called to homeschool or have a large family, or whatever. My thought process is pretty negative on this day (I wasn’t feeling great physically and hormonally). Yes, some of it bubbles over to the kids, but much of it is behind a smile or neutral face…just my usual overwhelmed mental chatter. Just wanted to make it clear that I’m not spewing negativity or yelling at my kids all day or something…with that said, on to my day! 6 AM – someone is up. I assume it’s my teen who needs to be up for school. 6:20 – I hear the shower so I’m up, doing morning stuff: feed the guinea pigs, make our bed, set out breakfast. Most weekday mornings it’s cereal. With egg, nut, and dairy allergies and no one being in the mood for meat or anything that needs too much digesting in the morning, this is what I default to. Makes me feel guilty. Every morning. Shouldn’t they be eating something healthier, with protein or something? Feeling the big undercurrent of “I’m not good enough” this morning. Too much clutter, hormonal, pain. 7:15 – Frick and Frack are up (I mean Lydia and James T). This is late for them but they have been going to bed later. As of a month ago 6:15 was the usual wake up, or earlier. James sits down to eat, I bring out milk, he says he’s not hungry yet so I put milk away. Figure he’ll eat in a few minutes which is his normal routine. 7:30 – Lydia is eating breakfast. Since I’m writing this after the fact, I have no idea what James is doing except it apparently wasn’t eating breakfast. Make myself a shake. It turns out really thick. Doesn’t sit well. Usually fills me but this time I feel full AND hungry at the same time. Boil water for tea. Forget to pour it onto the tea bags. 8:00 – Lydia and James playing with the guinea pigs in their cage. They ask to cover the cage with a blanket. I say yes. Then a few minutes later I look and they are putting all the blankets on top of the half open cage so the blankets are getting dirty in the cage that needs cleaning. Eyes bug out. I’m losing my cool. I’m not yelling, but I’m griping. Kids put all blankets down the laundry chute (my absolute favorite thing in this whole house) to be washed on this one day that I was happy to not have much laundry. Stress continues to ^^. 8:30 – Put on Ben and me for kids. Run and take a shower. When I come out they say it’s all messed up – it wound up playing in two windows at once and so they were hearing an echo. Restart it.. You Tube is slow so I find it back on my pinterest board . Get anxious that this is NOT how I wanted the morning to go and we are now “behind.” There is no “behind” really, because I have no schedule or plan yet! But feeling like we won’t get enough of “whatever” done today… know I’m not living up to expectations of myself and my dh. 9:00 Ben and Me finishes and Julia emerges from her room where she has been reading. Note to self, I need to give her a book list to choose from. Note to self, need to MAKE the book list. 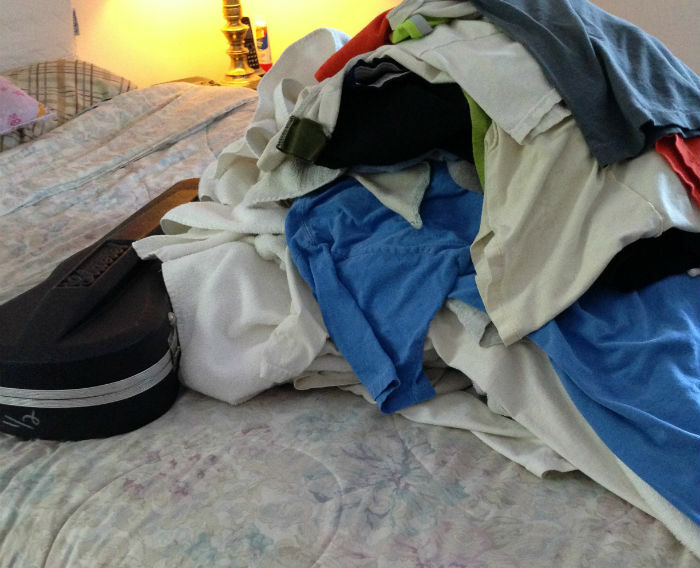 9:30 – start the laundry load of dirty blankets. Granted, they are not that dirty, but they have been in the piggie cage and I don’t want them on my face! Come upstairs into the kitchen and see that I never made my tea. Sigh. Make tea. Go downstairs to get clean, unfolded laundry and bring upstairs. James T can’t find his math book. Finds it in sister’s cart (we use this and this). Instead of starting math I find him playing wtih Julia and the guinea pigs. Lydia is pretending to do math but is really watching the others and talking to me about who knows what. Chatting instead of working is a HUGE problem here. HUGE. Four girls and a 6yo boy? Yup. EV.ERY.THING is something to be “commented on”. They don’t mean anything by it but we get a fraction of what we could get done, done. Should this matter? Probably not. Does it matter to me? YOUBETCHA. I get paralyzed thinking that “relationships are most important” and yelling at them for talking doesn’t improve relationships. Nor does simply nagging about talking. But they don’t stop talking. They don’t start working. Can I take a nap now? Elizabeth is up. She has the week off because she finally finished last years work last week. This adds to the general feeling of failure on my part, although it was a mostly thoughtful decision to let her have an easy winter last year, for many reasons. Catch Lydia putting her math away. Know she is not done. Grumble at her. Tell her she was the only one doing the right thing, don’t mess that up! That gets others moving – Julia to eating breakfast and J and L to math. Get torn up inside between wanting children to get sleep they need, and HATING that the morning is so crazy (in my head) because of it. Half of me wants them all eating at the same time, for example, and half of me LOVES that they can chart their own course for the day, within limits. I would have loved that growing up. I think half the time I’m re-parenting myself instead of seeing what this current family needs. Sit and write down what’s happened so far this morning, while helping with the math. I know I should consider that I’M interrupting myself with wanting to do this editing instead of just sitting quietly and helping them, but i get internally angry when they keep interrupting me with questions. The real questions don’t bother me half as much as the silly ones or chatting. Just. Enough. Already. J(6) asks to do a problem of L’s math and I’m blown away that he can (If Tom can do 5 sit ups in 10 seconds, how many can he do in one minute?) (he did this in his head). He has his father’s math brain. Note to self, order Beast Academy. Soon. J puts away his math to work on his sister’s book. Luckily this does not upset her. Go dry my hair. Bemoan my ugliness. (really struggling with this lately). 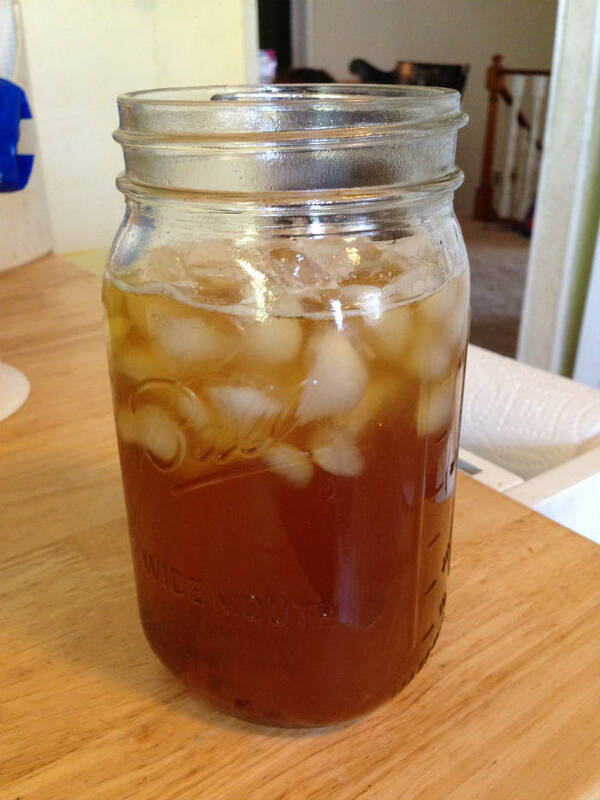 10 AM put spices in my tea and ice. Yum. Kids still doing math. Lydia wants to do it all in her head but can’t (not because I won’t let her, but because the math is beyond what she can do in her head). She has the vague idea of what needs to be done at all times but can’t quite manage to bring that to paper w/o explicit instruction. This bugs her. 10:15 Julia reads her paper for IEW/CC. She finished 3 days worth of work yesterday. I realize that i’m so worried about us getting anything done, but it is in part because it’s September and I see the whole year looming on top of us, while we’re only pecking away at the work. In my dreams I am MUCH more unschooly/relaxed. But a) not when it comes to math, and b) I feel like I could relax about it if the children would actually DO what they are doing at any given time. Instead they THINK and SAY they are doing math but really they are talking or staring or even just up and somewhere else. Multiply times every subject. Hey, you want to get into knitting or building some huge structure or learning about dung beetles? GREAT! But they are not doing that. They are really unfocused and it bugs me. Wonder if it has anything to do with the clutter of the house. That I can’t seem to get on top of. EVERY surface is a pile of “stuff”. I need a desk. 10:30 – print out a new math chapter for James. Find that Julia is NOT reading her paper, she’s reading her kindle at the computer with the paper open. Harry Potter. For the fifth time. Help James punch holes (badly) for the math chapter to put in his notebook. We use Math Mammoth so I print out what we need when we need it. Lydia has flown the coop. Wonder how long ago that was. My brain tells me we need to work at the table, like that would contain them better and help them focus. But with everyone getting up at all times there is no way to do that unless people are going to eat breakfast standing up in the kitchen. The hot pepper in the tea is giving me a kick! But it’s also making me hungry. Eat, then figure out what to do next. Kids listen to Classical Conversations memory work while we eat. Twinkle Twinkle has been replace by the Christopher Columbus song. Make mental note to look up memory songs on YouTube. 11AM – (Is it really only 11 AM?) Julia still sitting in front of her English work but reading her kindle. 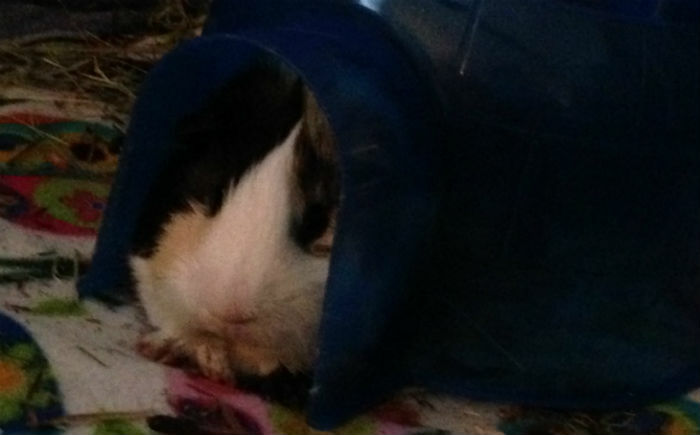 Check laundry, put away current pile…kids wandering, can’t seem to do anything w/o me…ugh, playing with piggies again. I know it’s good, but I also want them to do something else! Lydia asks if she can mess around with Teaching Textbooks to see if the last disc of level 4 is too easy. I say yes. Stick my retainer in (yes I am 13 years old). It bothers me and adds a layer to my “too muchness” To chill I play a round of Bubble Witch Saga 2 on Facebook *blush* It’s a hard level so it does not at all help. Wish I knew of something that actually DID help. Want a treadmill. Need a new house to fit a treadmill. If I buy a treadmill I can’t afford a new house, LOL. 12:00 PM – Lydia takes out the violin. Everyone stops to listen and want a turn (none of us know how to play yet 🙂 ) While working with Julia to show her something on violin, Lydia interrupts…I get stern on her…feel awful. The interruption is a real problem with many of them though. I was struggling to explain and show what I was doing and being derailed was just too much. (Before you think I’m a raving maniac at home, I’m not. But I don’t want to always be the stern, “Would YOU stop INTERRUPTING?” mom either. I want sweetness to overflow my cup. But it ain’t got no sweetness in it right now.) Also, realizing that Lydia is kinda ADHD and probably can’t help the verbal impulsiveness. 1:00 – Redeem a footrub card from Lydia who had given me a “free footrub” as a gift. She asks how long I want, I say ten minutes. She gives me two. 😛 James T steps in, but his rubs are just not the same. 🙂 Julia runs away to another room with the violin. I am thankful. James is supposed to be reading a story from Devotional Stories from Little Folks – which I impulsively assigned him because he was sitting around doing nothing but annoying people and it was sitting right next to me. But he is rubbing my feet so I can’t complain!? Lydia is reading the book instead. The sun comes out for a moment and it’s like a bit of heaven! Amazing how everything perks up in sunlight. Find out on Patch that a new senior housing development is going up in my town. Wondering if I can find out more about it. Wondering if my parents would ever move into it. Hate bringing up stuff like this. Hate that I feel like such a control freak that I’m not happy unless they are doing what I want. But in reality when what they ARE doing isn’t working for them, and causes problems for US (it isn’t now, but there was a time not so long ago… and it will return soon as they continue to age…)…well now, it involves me and I want what I want. Why can’t everyone see how smart I am and how much what I say is right? LOL! James chats about our aerogarden thingy and how we are going to feed the guinea pigs from it and continues wandering around. I continue to ponder why they don’t PLAY. They do school and talk and wander and use screens. So rarely do they actually PLAY with something. My kids never have. This bothers me no end. 2 PM Watching the show and having a sandwich helped me relax a bit. Gotta write a post on never feeling relaxed for real! 2:30 – Kids watching instrument videos and/or snacking. I’m putting StartWrite, EduTrack, and a Spanish program on the kids new laptop (old one broke – it was reaaalllly old). … so that is the end of the schooling day. How can I get to the end of a day like this and feel like I got nothing accomplished? Plenty of stuff is getting done (3 loads of laundry, anyone?) but it’s not the stuff I planned on doing at the start of the day. I’m also bothered by the fact that, other than their ages, my days haven’t changed from “Day in the Life” posts I’ve done years ago. Wish I had made some progress in this “homeschool mothering” thing. I feel like I’m putting myself out there to publish all this, but doing this every once in awhile helps me be more cognizant of what is really happening in our days, and how I feel about it all. a list of good “sort of schooly” ideas that the kids can pick from before 3:00 when we allow screens again. a list of things we must get done every day/every other day or so. Three weeks into the year and I haven’t done that, it’s in my head. Except its not.